Can I ask a few questions? Can we get full stitch directions for this flower? It is awesome! Thanks for sharing. As this is from a Jane Nicholas design, all I can suggest is to look at her web site for references. Copyright © Embroiderers' Guild ACT Inc. All rights reserved. 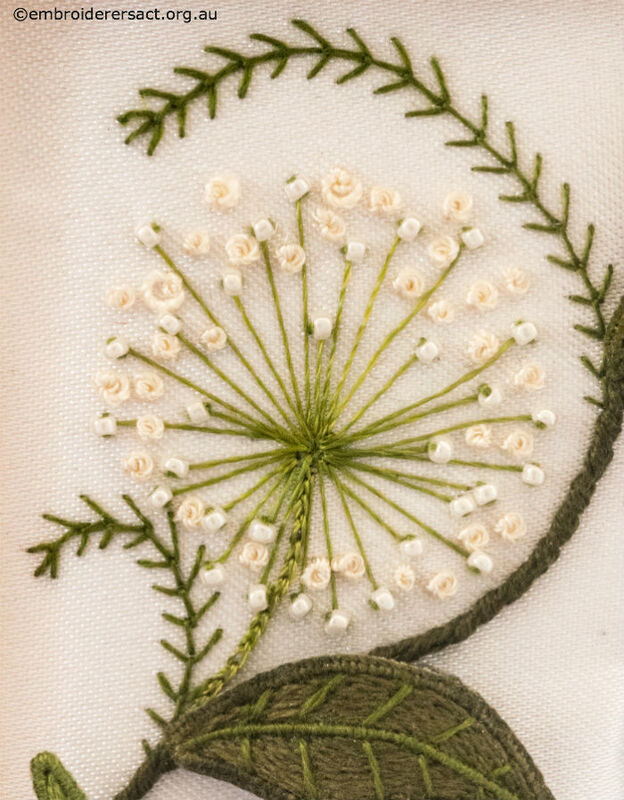 Embroiderers' Guild ACT | Powered by Mantra & WordPress.